SEATTLE — Amazon.com Inc. continues to push the retail innovation envelope, recently unveiling a store without checkouts and field testing delivery by drones in the United Kingdom. The 1,800-square-foot Amazon Go store perhaps most closely resembles a high-end, high-tech convenience store. Customers do not need to scan their purchases or go through a checkout line. 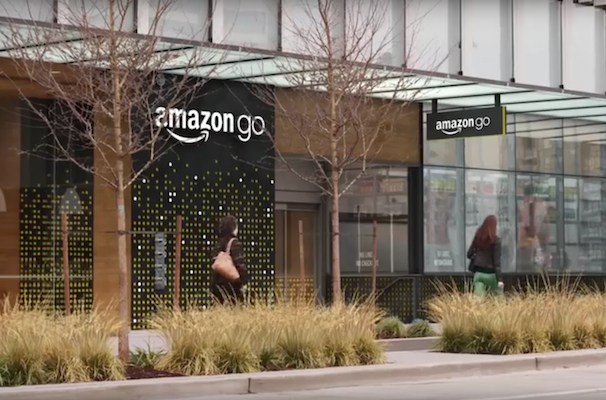 The Amazon Go prototype store is being tested in Seattle. Instead, after swiping their smartphones upon entering, every item they take off a shelf is automatically charged to their Amazon accounts through a free app. The store uses several of the technologies employed in self-driving cars, such as computer vision, sensor fusion and deep learning. Thus, if a customer changes his or her mind about purchasing an item, the technology detects that it has been returned to the shelf and deducts its price from the consumer’s bill. As for the product assortment, according to the Amazon.com website, offerings include ready-to-eat breakfast, lunch, dinner and fresh snack options made daily by on-site chefs and local kitchens and bakeries. In addition, the store goes beyond a range of grocery staples such as bread and milk to offer artisan cheeses and locally made chocolates. For time-pressed consumers who nevertheless favor home-cooked meals, there are the chef-designed Amazon Meal Kits, which contain all the ingredients needed to make a meal for two in about half an hour. The prototype store is located on the street level of one of the company’s new office buildings in downtown Seattle. It is currently open to Amazon employees and is slated to be open to the public in early 2017. Beyond demonstrating Amazon’s mastery of manipulating the business press during the peak retail holiday season, Amazon Go represents the company’s willingness to step outside its normal processes and re-imagine what retailing might be like, according to Keith Anderson, senior vice president of strategy and insight at Profitero Inc., a global provider of e-commerce intelligence for retailers and consumer goods ­manufacturers. Although Amazon has denied it, The Wall Street Journal has reported that the company is working on other food store formats, including one with curbside pickup but no in-store shopping as well as a 30,000- to 40,000-square-foot concept similar to the no-frills outlets of hard discount grocers such as Aldi and Lidl. According to the report, Amazon envisions operating as many as 2,000 grocery stores. In England, meanwhile, Amazon is field testing drone delivery, a concept it unveiled a few years ago. The program is part of an initiative that Amazon calls Prime Air, which seeks to deliver goods to customers within 30 minutes. The test is being conducted in Cambridgeshire, England, in part because Amazon was able to reach agreement with the U.K.’s aviation regulator. The Federal Aviation Administration in the U.S. has taken a tougher stance toward drone delivery, allowing tests only in certain designated areas and prohibiting flight over inhabited areas or groups of people. Transportation experts point out that drone delivery is an attractive option mainly for delivery to rural locations because of the costs involved in land delivery to far-flung customers. Urban or highly populated suburban areas are less promising because of safety concerns and the associated liabilities. The drones are part of Amazon’s long-term goal of developing its own transportation network and thereby exerting more control over its shipping costs.